Carnegie: Magic Detective: Happy Birthday Howard Thurston! On July 20th, 1869, just a few years after the end of the US Civil War, Howard Thurston was born. He was born in Columbus Ohio, and is also buried in Columbus, at the Greenlawn Abbey. 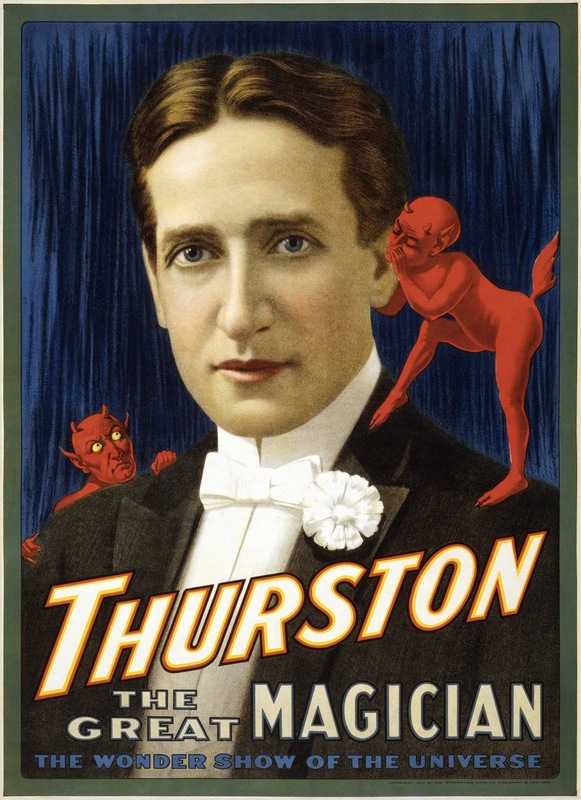 Howard Thurston was certainly one of the greatest magicians of his era. He created an enormous traveling illusion show. He purchased Harry Kellar's Show and toured the country with Kellar for a year. Then on May 16, 1908 in Baltimore MD at the Ford's Theater, Kellar passed his Mantle of Magic on to Howard Thurston. Howard Thurston died of Pneumonia on April 13, 1936. There is a FANTASTIC book on the life of Thurston by Jim Steinmeyer called The Last Greatest Magician In The World. I would encourage anyone interested in magic history or theatre history to check out this great book.